The 'Star Trek Into Darkness' star, who revealed he is gay in 2011, is determined not to let his success change him or affect his personal life, even though he is thrilled it has given him more control over his career. 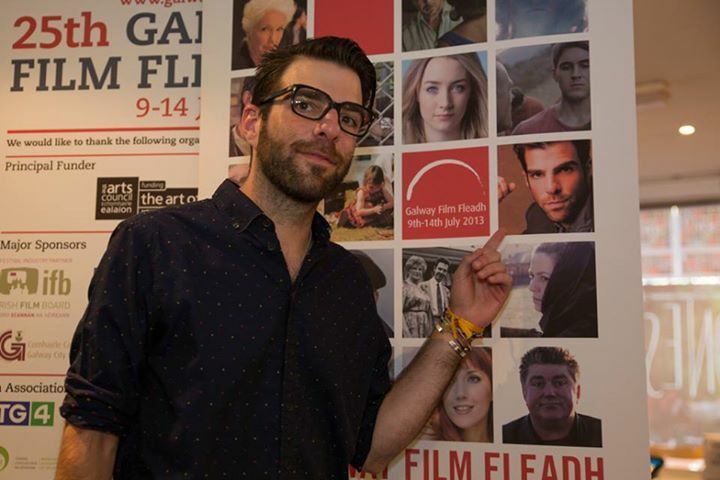 The 32-year-old actor exclusively told BANG Showbiz at the 25th annual Galway Film Fleadh in Ireland, where he and Oscar-nominee Saoirse Ronan are the guests of honor: "I have let it unfold. I have made decisions that have always been organic, in regards to what I've done and how I do it now, although that wasn't always the case because I didn't always have the control or power to do that, because I was just pounding the pavement trying to get a job. 'Heroes' started to change that for me and 'Star Trek' obviously furthered that, and then I started my production company, which I think gave me, immediately, a totally different reserve and well of creativity. "In my personal life, I am unapologetically who I am, but I feel like I also have a responsibility, and maybe other people don't feel this way, but I have a responsibility to be authentic, that's my responsibility to myself and to the degree that can help other people, I also have a responsibility in that regard, I think to just stand up and be visible and be responsible to myself." He added: "I don't want to live a life that isn't fulfilled. I don't want to live a life that isn't true, and ultimately I had to make decisions along to way to come out, that required a lot of thought and a lot of time. For me it's like a journey and I'm trying to be open to it all."